Odd. 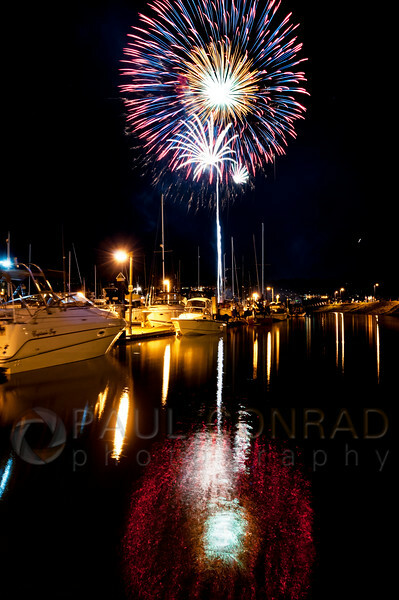 While doing a Google search to see how my stuff is ranking (average on the 3rd page), I ran into the results of the City of Bellingham Essence of Bellingham Photo Contest. No, it’s not the Pulitzer. But, you don’t know if you’ll win if you don’t enter contests either. 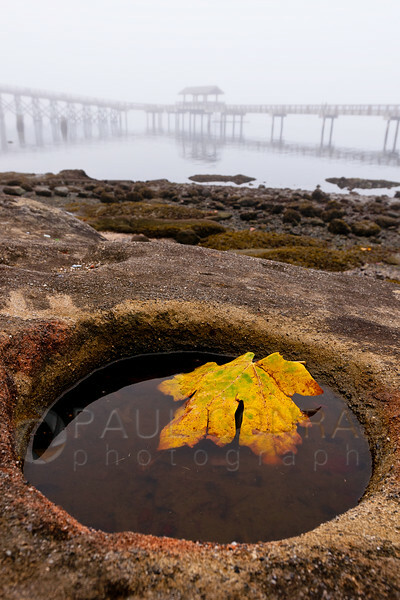 © Paul Conrad/ Pablo Conrad Photography – A leaf rests in a pool of tidewater along the shore at Boulevard Park during the morning fog in Bellingham, Wash., on Friday morning October 18, 2013. 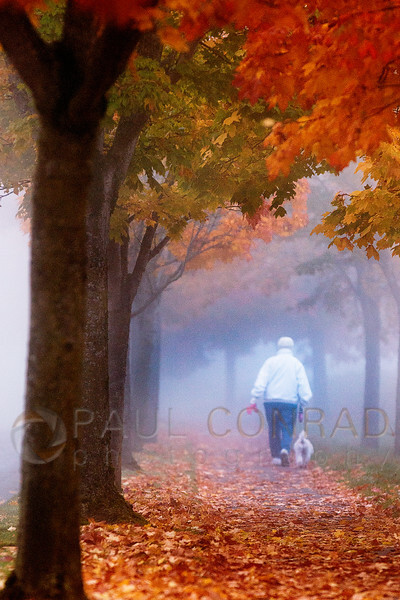 Photographed this scene while wandering around Bellingham during a particularly foggy autumn last year. As I walked around, I saw this tide pool a leaf had fallen into. So I spent some time working the composition to get something I liked. I shot it wide, then medium. Started up close then stepped back. Used my Nikkor 17-35mm f/2.8 then tried my Nikkor 80-200mm f/2.8 on my Nikon D300s. I liked the wide and up close the best. © Paul Conrad/Pablo Conrad Photography – A man watches a sailboat traverse the setting Sun while enjoying a front row seat of a gorgeous sunset at Boulevard Park in Bellingham, Wash., on Sunday Aug. 25, 2013. 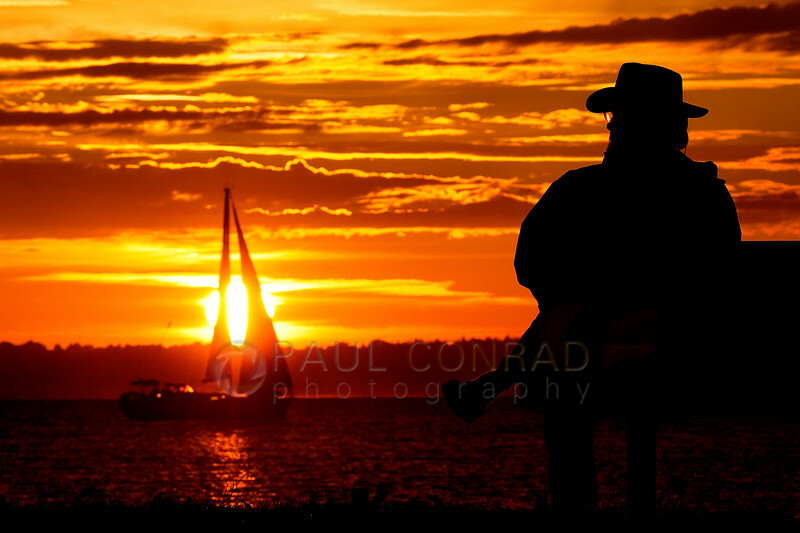 There was no time to shoot “Watching the Ships Roll In.” I went to the Boardwalk with my wife Heidi and as I got out of the car, I saw the sailboat, the man with the hat, and the setting Sun. The man with the hat makes this photo I believe. He’s slightly turned so you see the Sun through his glasses, he’s in silhouette, and his posture is relaxed. I knew the sailboat would have traverse the Sun. Because I didn’t want the empty bench of the man was sitting on, I found a position where the man was on the right side of the frame. As the sailboat became closer to the Sun, I moved so you could see the full of the sailboat. Using my 80-200mm on my D300s, I zoomed in and then slowly zoomed out until I had good placement of the Sun and man. Then I waited for about 30 seconds as the sailboat went in front of the Sun. My exposure was simple: Sunny 16 minus 2 stops. Pull into Photoshop using RAW, simple curves, then caption and save. © Paul Conrad/Pablo Conrad Photography – Morning fog dapples a spider web with dew on West Bakerview in Bellingham, Wash., on Thursday morning Oct. 4, 2013. 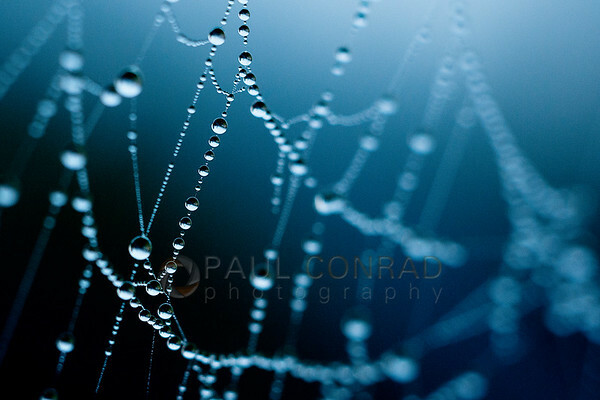 It was another foggy morning when I shot “String of Pearls.” A wet, heavy fog. While taking my wife Heidi to work, I noticed all the spider webs in the fields along West Bakerview. So after dropping her off, I drove around for a bit looking for some intact webs that would make great photographs. At Whidbey Island Bank at the intersection of Bakerview and Northwest, I saw a sapling in the parking lot. On that little tree was a huge spider web and it was dripping in fog. I wanted to get close so I threw my Nikkor 55mm f/3.5 Macro onto my Nikon D300s. I worked the composition: straight on, to the side, midway, narrow depth of field, deep depth of field, etc. My favorite is this: To the side as close as possible with narrow depth of field. The blue? Caused by shooting on the tungsten white balance in daylight. Post processing was my standard: shot on RAW, brought into Photoshop. Used layers for minor burning and dodging, a curves layer, and unsharp mask. 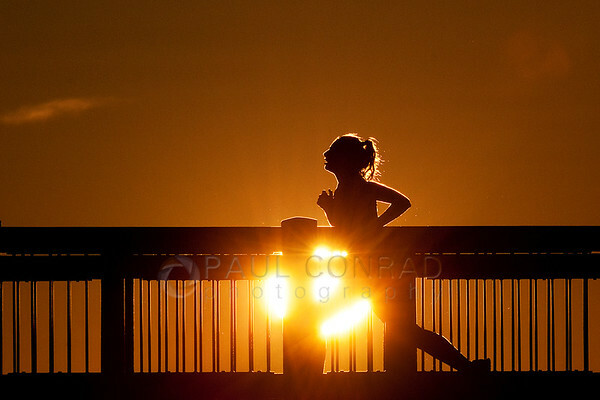 © Paul Conrad/Pablo Conrad Photography – A runner jogs along the Boardwalk at Boulevard Park in Bellingham, Wash., during a blazing Sunset on Sunday evening April 14, 2013. 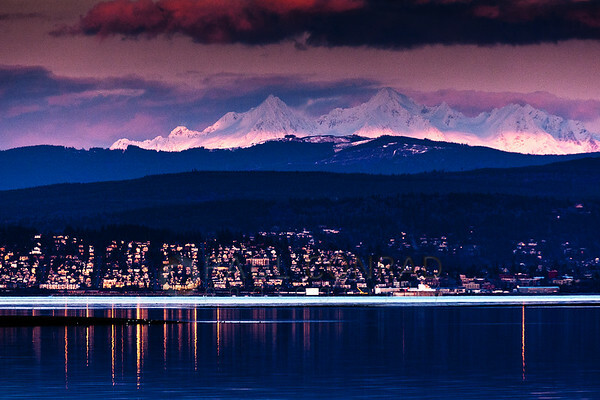 I would like to say a special thank you to the City of Bellingham for choosing 3 of my photos out of nearly a thousand as images that represent our community. I would also like to thank my wonderful wife Heidi for her patience as I continue to pursue my dream. As with most contests, you have to take them with a grain of salt. By all means enter. You never know if you’ll win, place, or show. But you don’t know if you don’t try. So enter those contests. Just make sure you read the fine print that the contest isn’t a “rights-grab” for unlimited use of your images. 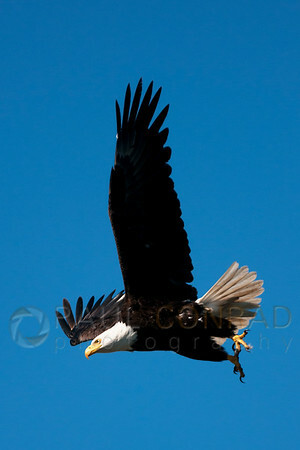 With my photography biz picking up, I’ve been rather busy and have neglected to post new entries. 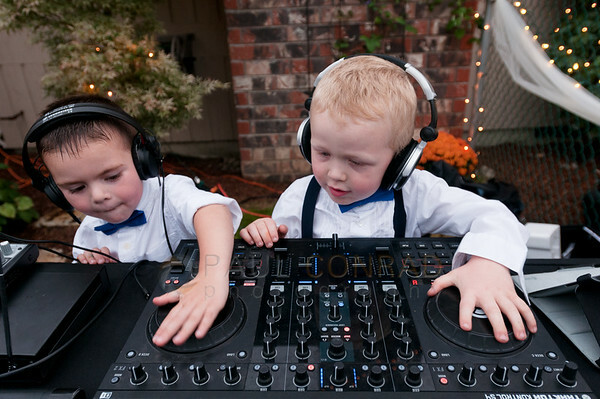 I’ve got more work from Getty Images, a few local companies have hired me to shoot portraits of their staff and products, getting wedding and engagement inquiries, and have been out shooting my personal stuff. And I’ve kept a day job working in a retail store. 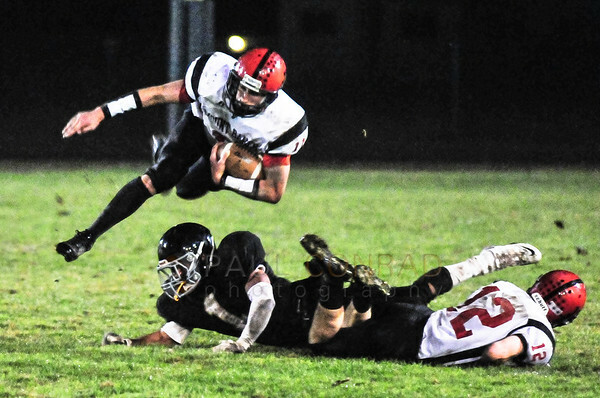 With that being said, you now know why I picked the one photo as the lead photo for this blog. So, I’m going to get the ball rolling and kick this adventure into high gear. With that being said, here are a few photos from just this past week. On Monday, I chased the super perigee Moon, or “SuperMoon,” while it rose over Whatcom County and Bellingham, Wash. I was on Ferndale Road watching the light on Mount Baker. The beautiful alpenglow was palpably delicious. I saw a field of potatoes ready for harvest. Their flowered tops flowing in the breeze. 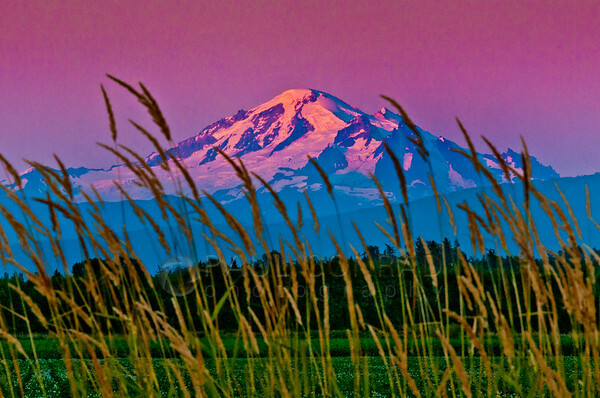 As the Sun set in the northwest, I had my lens focused on Mount Baker to the east. I turned around to see the setting Sun through the wheat grass. I quickly removed my camera from the tripod and shot a few frames. With a wide aperture to capture only the grasses in focus, the Sun appeared as a small orb in the lower left. I also underexposed a few stops to keep the grasses in silhouette. 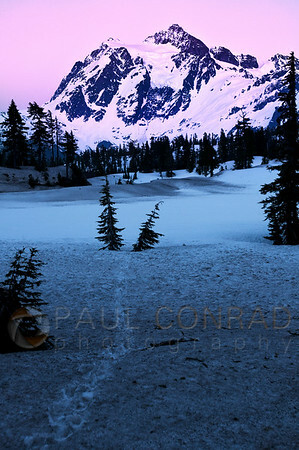 Just moments after the Sun dipped below the horizon, the remain light bathed Mount Baker in a beautiful purple alpenglow. I had to quickly shoot some frames before it disappeared. 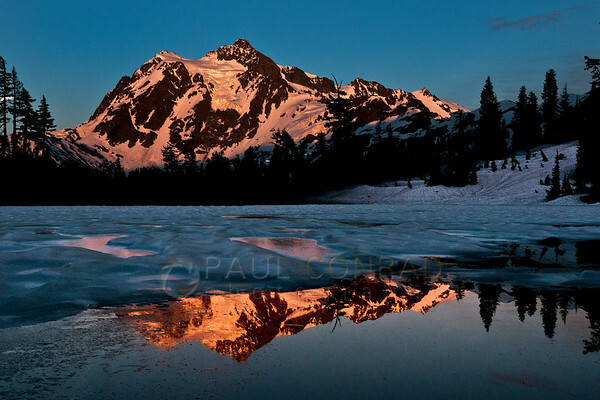 Just after that, the full Moon began rising above a ridge south of Mount Baker. I could just see the glow of the Moon. 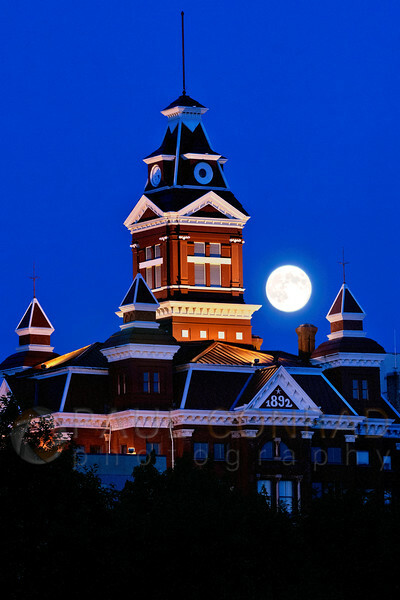 After shooting that photo, I chased down another opportunity I scoped out earlier in the day: The rising Moon above the old Whatcom County Courthouse. That adventure is for an upcoming post. Nothing like seeing a beautiful, awe-inspiring scene to have it ruined because of the limitations of digital cameras. I’ll update with a link to the blog. But for now, here’s a link to the photograph: Full Moon over the Whatcom Museum. • What I learned working retail ( I worked at Home Depot for a while). Thank you for stopping by to read and view my work. Feel free to comment. In response to this week’s The Daily Post for their Weekly Photo Challenge: Silhouettes I’ve re-written and reposted one of my favorite posts. 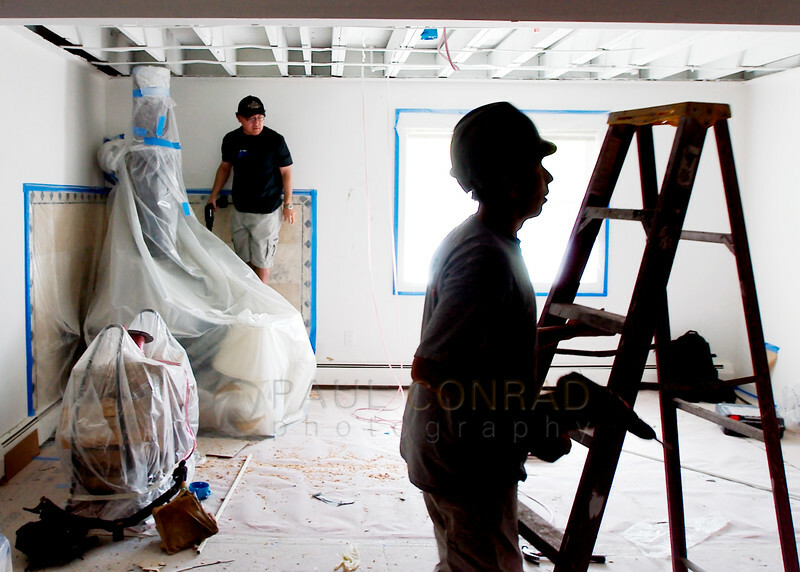 A good friend of mine once said to me: “You must be happy, you have your silhouette for the week.” Zach Ornitz said this after seeing a photo of the cleanup from an apartment fire. It is actually a compliment. silhouettes are fun and challenging to shoot. When I was going to Western Kentucky University, one of the guest lecturers was Washington Post photographer Michael Williamson. He was going over his portfolio and a project he was working on when he said that if you are over stretched and can’t find anything to shoot, go graphic. And what a better way to go graphic than shooting a silhouette. Wikipedia defines a silhouette as: a view of an object or scene consisting of the outline and a featureless interior, with the silhouetted object usually being black. The term is said to be named after French Finance Minister Etienne de Silhouette who liked making the cut-outs of people’s profiles. It was a cheap art form for many of the poor at the time. 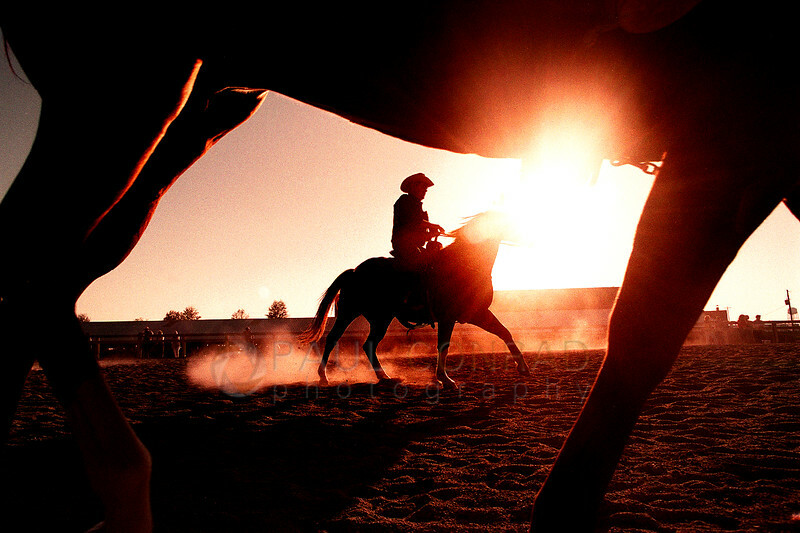 Contre-Jour is the technique in photography that is used to create silhouettes. 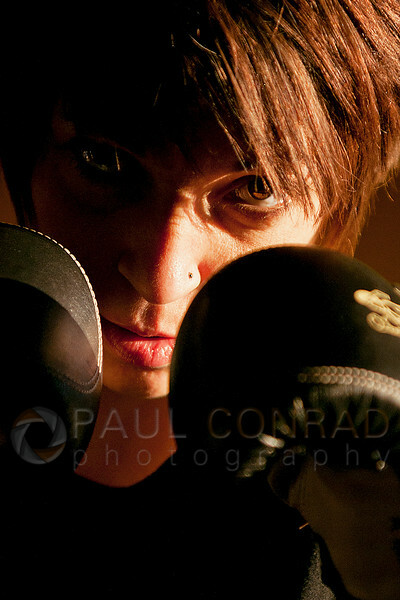 It is simply placing your subject in front of a strong light and exposing for the light. Therefore, your subject becomes black against the lighter background. They are one of my favorite feature photos to shoot. They’re easy and, yet, challenging and I’ve had more failures than successes. My archives are full of failures. But I keep them to learn from them. But when one works, it can zing. It’s not just a matter of shooting into a bright light and underexposing, you have to think in terms of elements. For a silhouette to work, the elements in the composition must not merge. They should be distinct from each other and add to the overall theme of the image. Otherwise, it looks like a big blob rather than anything else. They must be clean. The main subject(s) should not meld into other subjects and stand on their own. Some of the best seem to be multiple pictures in one. Some silhouettes will work if there is a slight overlap, but for most, keep them separate. Work the image until you see the elements separate. This may take time, moving, waiting for the moment, or simply pure luck. You may even have to come back and attempt to photograph the scene again. 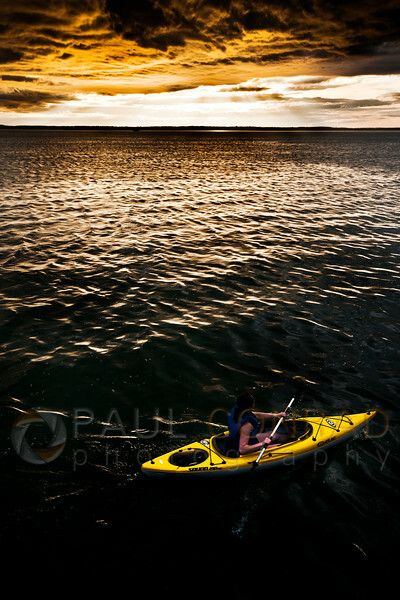 Although sunrises and sunset are the easiest time of the day, you don’t have to shoot at those times. You can shoot them indoors, outside in the middle of the day, and even at night. You can use a light background. 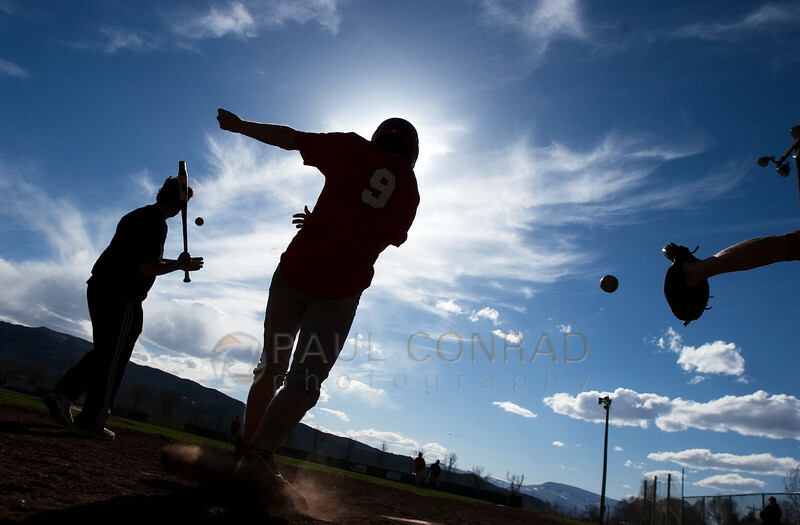 For example, the silhouette of hikers against a mountain range or baseball players against the bright sky. The one thing you must consider is keep the background clean. Again, the key is to keep the elements separate. 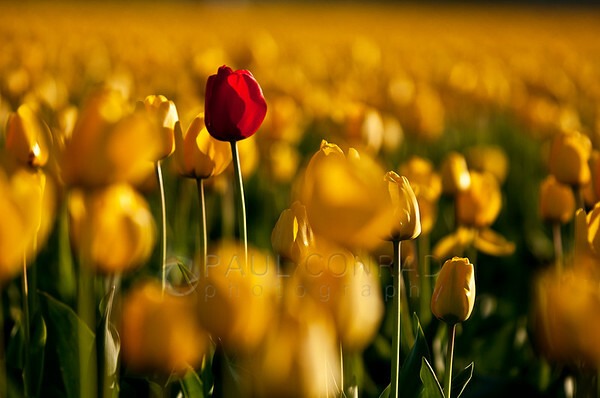 It means paying attention to the background and foreground. You may have to lie on the ground, seek a higher vantage point, use a light background, or any method that keeps the image exciting, fresh and different. Sometimes a little luck goes a long way. When I was interning at the Ogden (Utah) Standard-Examiner, I had an assignment to photograph the Bullnanza in Hooper. It was annual bullriding competition. I arrived about 15 minutes prior to the start and the sun was setting vividly in the west. 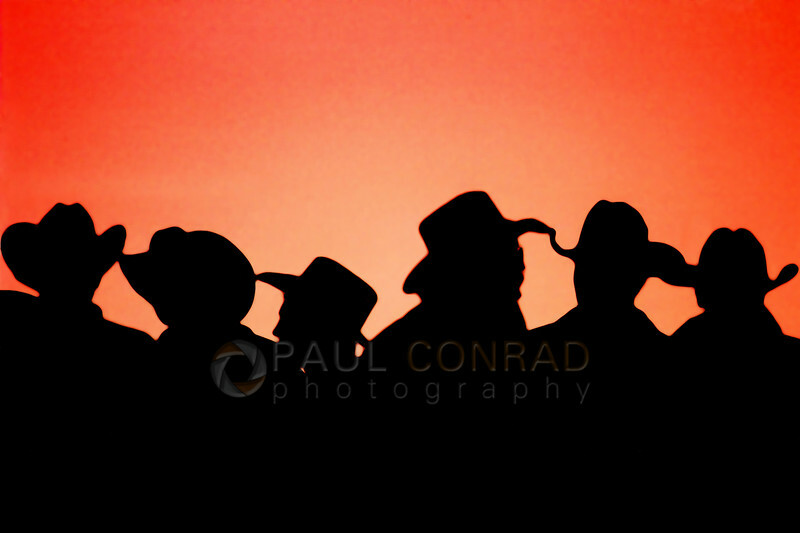 As I was in the center of the arena taking light measurements, I noticed a group of cowboys at the top of the chutes. On my camera was a 300 f/2.8 lens so I grabbed a few frames before the cowboys dispersed and now you see the result above. It was a lucky shot. Getting a proper exposure is rather easy. 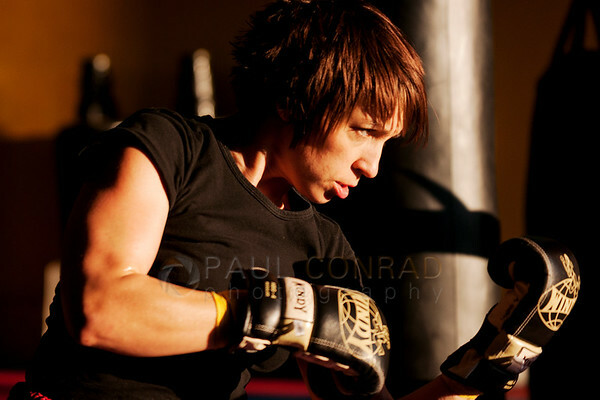 The main thing is to expose for is the main light behind the subjects. Manual exposure mode is best. When in one of the automatic modes, the camera will attempt to compensate for the extra darkness by “overexposing” and you’ll blow out the background, hence, giving your subject some detail. This isn’t always bad. Some detail in you subject can add a little dimension. Shoot something unique. Sure, shoot some clichés for practice, but go out and find some activities that allow you to shoot something different. There are a multitude of possibilities to make cool silhouettes. So go out and have some fun. 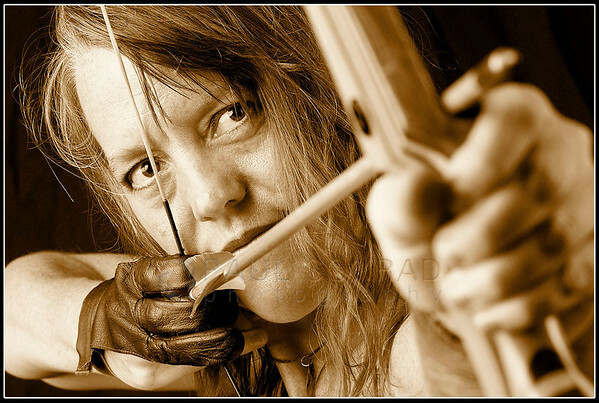 Shoot to your heart’s content. But most importantly: practice, practice, practice. 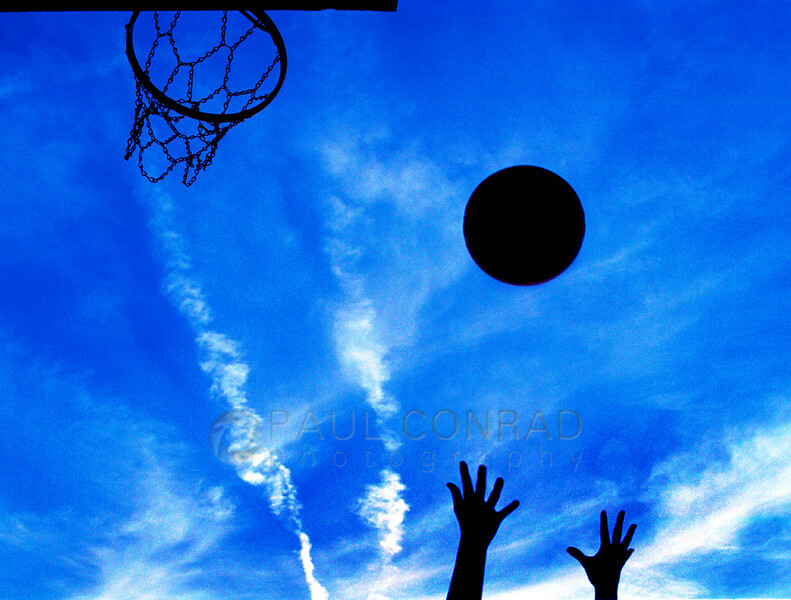 Add a link in the comments with your sample of a silhouette that you’ve shot. Thank you for stopping by and reading. All comments are appreciated. 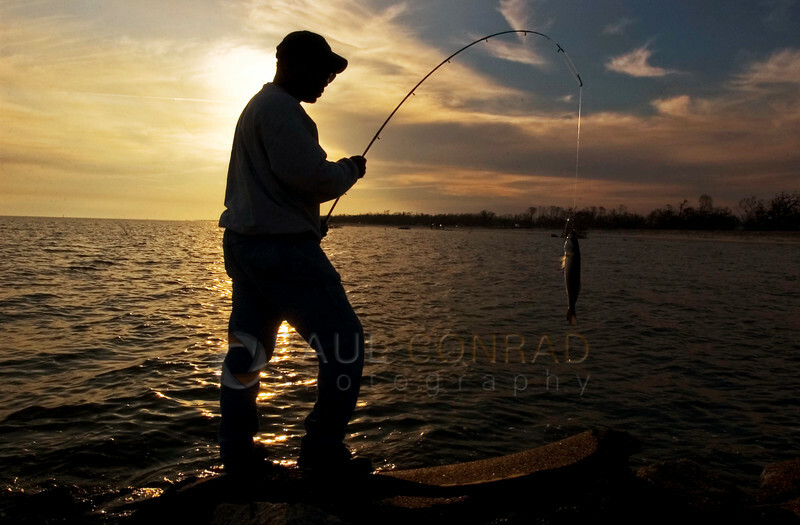 Although sunrises and sunset are the easiest time of the day, you don’t have to shoot at those times. You can shoot them indoors, outside in the middle of the day, and even at night. You can use a light background. For example, the silhouette of hikers against a mountain range.